Smytham Holiday Park is a rural retreat in North Devon where you can enjoy a stress free break. Owning your own holiday home here will just be perfect, in this picturesque holiday park camp in the spacious grounds. Smytham Holiday Park is in the heart of the peaceful North Devon countryside. Smytham Park is a 33 acre park with undulating, landscaped grounds providing an ideal base for you to relax and enjoy your holidays. The coast, Dartmoor and Exmoor are within easy reach. RHS Rosemoor is 1.5 miles and we have direct access on to the Tarka Trail cycle path. It won Gold David Bellamy conservation awards for more than 10 years. The park welcomes well behaved pets and have a 3 acre dog exercise paddock. For further information on Smytham Holiday Park and to discuss own your own holiday home then give Surf Bay Leisure a call today. 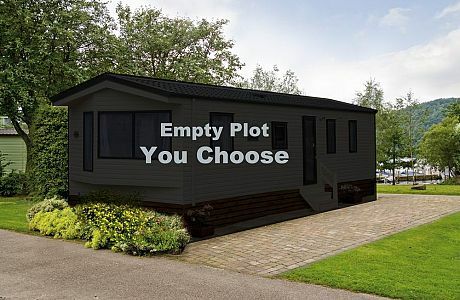 Vacant plot available at Smytham Holiday Park. The pitch is in the middle of the park with views over the grassed valley. This pitch can take holiday caravans up to 40x12. The siting charge includes delivery of the caravan of your choice, siting, connection to services including TV, a bespoke wooden decked veranda, wooden skirting and 3 bicycle size storage boxes. There is a hard surfaced car parking space alongside. The gas and electric are metered. Caravans have a 15 year license when new and then a yearly license after 15 years.